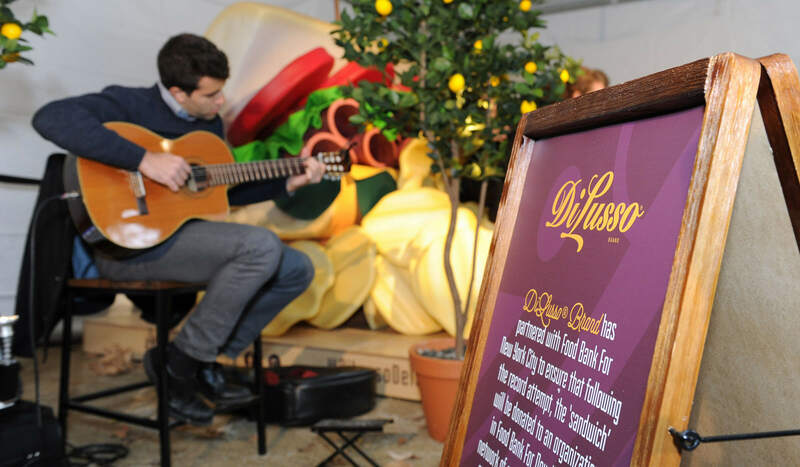 In October 2016, Di Lusso Deli Company built the world’s tallest sandwich. 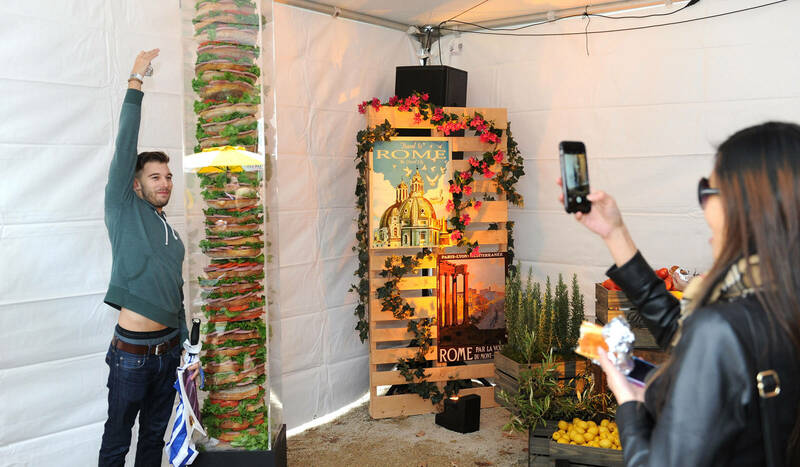 This official Guinness World Record attempt resulted in 60 layers of bread, mustard and salami that stood for over a minute without falling, breaking the previous record by more than 20 layers. Top Chef’s Padma Lakshmi was in attendance. 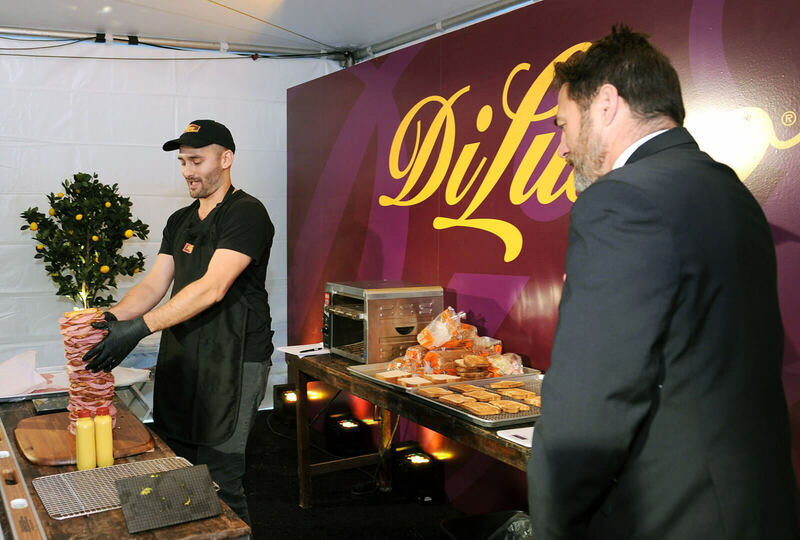 Top Chef’s Padma Lakshmi was in attendance and created a custom Di Lusso® sandwich recipe for the event. Spread one tablespoon of butter on one side of one slice of the sourdough bread, set aside. Spread the hot pepper jam evenly across the one side of the other slice of sourdough. 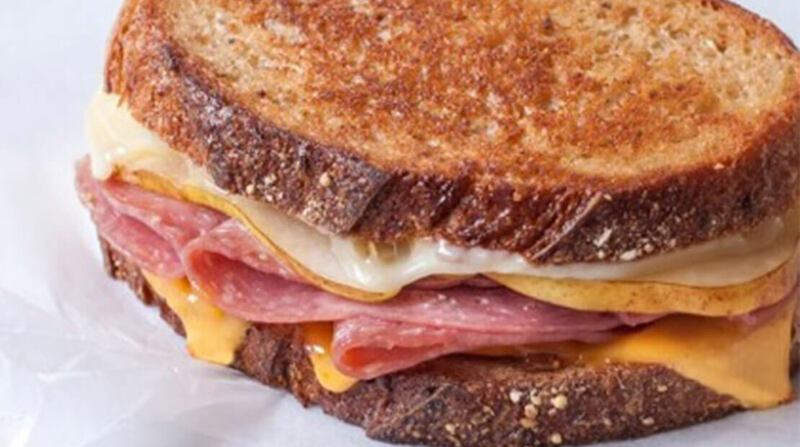 Layer salami slices on top of the jam, and then add the slices of cheddar on top of salami. Sprinkle the herbs de Provence evenly over the top of cheese. Place the other slice of sourdough on top of the assembled sandwich with butter side up. Cover the skillet, cooking sandwich until golden brown on the bottom, about 2-3 minutes. When golden, carefully flip the sandwich over and toast uncovered for another 2-3 minutes more, until golden brown. Serve warm.